Should You Follow Your Head or Your Heart? Which is Better? Does your heart know more than your head? Which one will lead to more happiness, purpose, and fulfillment? This is not about neglecting a part of you. Instead, it’s about using everything at your disposal. You have a head and a heart for a reason. They both help in their own way. You don’t have to choose between your heart and your head. The only reason you think they’re separate is because you’ve been told they are. How do I know? Well, consider this: If you had no thoughts or concepts, how would you live? You would just live, right? You would live life one moment at a time. You wouldn’t worry about your heart or your head. But how do you listen to both? Let’s have a look. Your heart and your head are like two advisors. They operate in different ways and speak different languages. Once you understand them, and understand how to leverage their strengths, you will make millions and become famous overnight. But it will change the way you live. Start with your heart. I start by listening to my heart. I often feel drawn somewhere. I feel inspired to do something. Your heart may communicate with you in a different way. The more you listen, the better you’ll get at it. I go much deeper into this in my book, Follow Your Heart. Notice your fears. If my heart nudges me to do something meaningful, I’ll often run into fear. I’ll run into what if thoughts. I do my best to welcome them in. Fears are just my head making sure that I stay safe and that I don’t dive off a cliff. Let go. Next, I let go of my expectations. As I’m writing this article, I don’t worry about what you will think of it, because it would muddle what I feel inspired to write. It has taken me a long time to get to this place, so don’t think that you have to let go of everything today. And when I say let go of my expectations, I don’t mean I don’t have thoughts. I still have fearful thoughts, I just don’t give them as much attention as I used to. Listen to your head. You also have to remember to be practical. This is where your head, or mind, comes in. Your mind is great at breaking things down and living life logically. Most people live solely through their mind, but when you blend both heart and mind, things become easier. Not right away, but with time. Blend. I got the inspiration to write this article, but the practical part of me helped me outline, write, and edit. 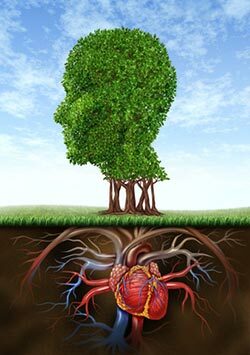 As time goes on, the blending of both heart and head will become more seamless. But before that happens, your head needs to see that following your heart is the best path. The biggest mistake you can make is think that there’s a formula for following your heart. The moment you give your power away to someone or something, you stop following your heart. The tips in this article are an example of what works for me. In reality, there are no steps. If you want to follow your heart, you have to listen to yourself and have confidence in your own inner GPS. This won’t happen overnight. You may need to try a few different “formulas,” but remember that you alone hold all the answers. The struggle is not something to be gotten rid of, but something to be embraced. So, should you follow your heart or your head? 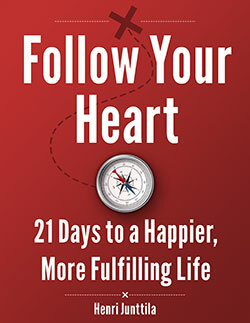 Did you know that I wrote a book on living a heart-based life? 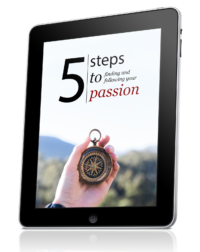 Click the cover to learn more. The answer is both. Learn to respect both. They are two advisors that help you live your life. Remember that there is no rush. A big part of the anguish you feel is because you’re trying to force progress. You are where you need to be right now. Wanting to be somewhere else is what creates tension. What if you let yourself be right here, just for a moment? Enjoy this adventure we call life. You will always keep growing, so you might as well enjoy it. Thanks Jackie. I appreciate the support! You’re right on, Henri! There absolutely has to be a balance between the two instead of leaning too much toward one side. I’m sure if I really examine myself then I’d realize there’s one I favor more than the other, but I’m sure we all are like that. Henri, I was looking for passionate people and I stumbled upon your site. What a gift, thank you. Sometimes I dunno how to deal with my heart and my head, it seems that they never belong to me! Thank you very much and nice to know you here!